Come and experience Tiel and its churches, monuments and history. Renowned for its cycling, gardens and bars, this city welcomes all visitors. Whether you're planning a family holiday, romantic stay or trip with friends, holiday rentals offer features like full kitchens and laundry facilities for a more convenient stay. The nearest airport is in Eindhoven (EIN), located 29.8 mi (47.9 km) from the city centre. If you can't find a flight that works for your travel itinerary, you could book a flight to Amsterdam (AMS-Schiphol), which is 40.8 mi (65.7 km) away. If you're travelling by train, make your way to Tiel Station or Tiel Passewaaij Station and explore the city from there. What are the most popular destinations to visit in Municipality of Tiel? 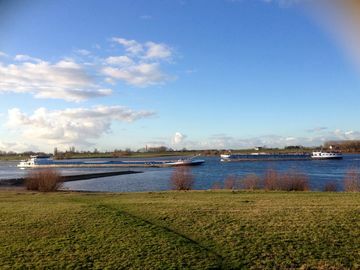 HomeAway offers you the possibility to discover many other popular destinations in Municipality of Tiel! Please use our search bar to access the selection of holiday rentals available in other popular destinations. What are the main cities to discover in Municipality of Tiel?